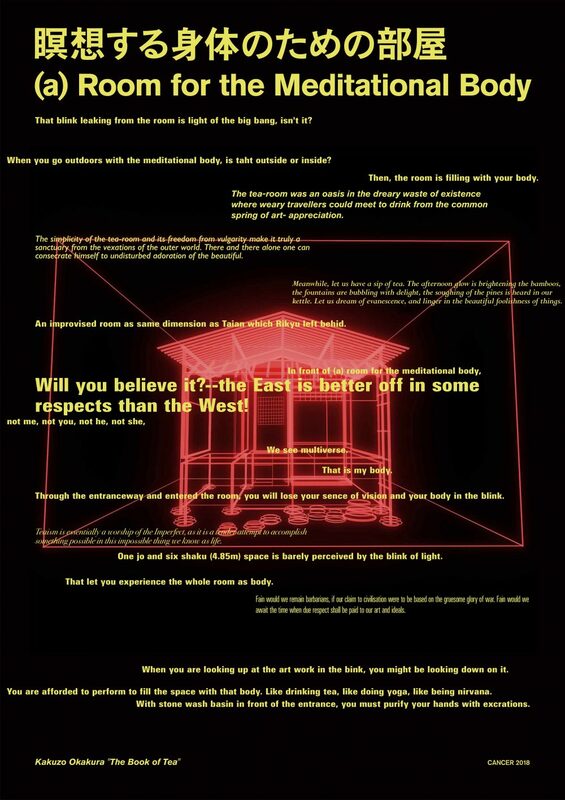 Will you believe it?–the East is better off in some respects than the West! Teaism is essentially a worship of the Imperfect, as it is a tender attempt to accomplish something possible in this impossible thing we know as life. Fain would we remain barbarians, if our claim to civilisation were to be based on the gruesome glory of war. Fain would we await the time when due respect shall be paid to our art and ideals. For Teaism is the art of concealing beauty that you may discover it, of suggesting what you dare not reveal. It is the noble secret of laughing at yourself, calmly yet thoroughly, and is thus humour itself,–the smile of philosophy. The simplicity of the tea-room and its freedom from vulgarity make it truly a sanctuary from the vexations of the outer world. There and there alone one can consecrate himself to undisturbed adoration of the beautiful. The tea-room was an oasis in the dreary waste of existence where weary travellers could meet to drink from the common spring of art- appreciation. An improvised room as same dimension as Taian which Rikyu left behid. One jō and six shaku (4.85m) space is barely perceived by the blink of light. That blink leaking from the room is light of the big bang, isn’t it? With stone wash basin in front of the entrance, you must purify your hands with excrations. That let you experience the whole room as body. Through the entranceway and entered the room, you will lose your sence of vision and your body in the blink. When you are looking up at the art work in the bink, you might be looking down on it. You are afforded to perform to fill the space with that body. Like drinking tea, like doing yoga, like being nirvana. Then, the room is filling with your body. When you go outdoors with the meditational body, is taht outside or inside? In front of (a) room for the meditational body, not me, not you, not he, not she, we see multiverse.